US pet owners spend around $16 billion per year on vet bills. 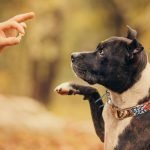 But, while there are some dog and cat emergencies that require urgent medical attention, there are many vet-approved natural pet remedies that work well for a variety of complaints and conditions. In fact, natural remedies for cats and dogs are often preferable in some cases. 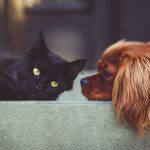 Not only can they help you avoid huge vet bills, they’re more accessible for owners, and they don’t compromise your pets’ delicate systems like harsh antibiotics and other medications. Here’s our pick of the best natural remedies for cats and dogs. Although it’s derived from cannabis, hemp oil isn’t psychoactive and is safe and legal for human or animal use. 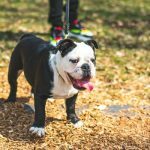 And, when it comes to natural pet remedies, hemp oil is one of the most comprehensive treatments around. Hemp oil for dogs and cats can help to relieve pain, regulate appetite, calm stress and anxiety, and help with inflammation. It can also help to improve cardiovascular health, prevent epileptic seizures and fight cancer cells. 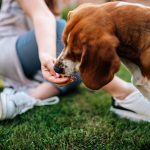 As with many home remedies for dogs and cats, the easiest way to administer hemp oil is to mix a small amount into a treat or their regular food. Start with a dosage of between 1 mg and 5 mg, and then work your way up to between 1 mg and 5 mg for every 10 lbs of body weight. Oatmeal is one of the best home remedies for dogs and cats with itchy skin or feet. This is because oatmeal contains avenathramides and phenols, which are chemicals with anti-inflammatory properties. If your dog is a fan of baths, put rolled oats into a sock or stocking and run warm water over it. Let your dog soak in the bath for around 10 minutes to reap the benefits. If your dog isn’t keen on baths or you have an itchy cat, grind the oatmeal into a powder and mix it with water to apply to inflamed areas. Chamomile tea is great for upset human stomachs, but it’s also one of the best home remedies for dogs with a poorly tummy. Chamomile helps soothe the stomach by decreasing the inflammation of mucous membranes. Add some strong chamomile tea to your dog’s water bowl or mix it into their food. Dogs and cats often take antibiotics for skin issues like bacterial infections. But too many antibiotics can reduce good bacteria and compromise their health. If your pooch is prone to skin infections, plantain is one of the best natural antibiotics for dogs. Plantain kills germs, reduces itching, and encourages faster wound healing. To treat your dog’s irritated or infected skin, make a lotion with coconut oil, plantain, and calendula. Cats can be prone to bladder and urine infections. If your kitty often suffers from these issues, one of the best natural remedies for cats is unsweetened cranberry juice. Cranberry increases the acidity of your cat’s urine, meaning less chance of infections. To treat your cat, add cranberry juice to their water, or put a little cranberry powder in your cat’s food. It can be heart-breaking to see our beloved pets suffering. 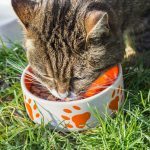 But with these natural remedies for cats and dogs, you can be prepared with several quicker and cheaper solutions to many common pet problems. And, for more ways to cut the cost of owning a cat, check out these smart money-saving tips.